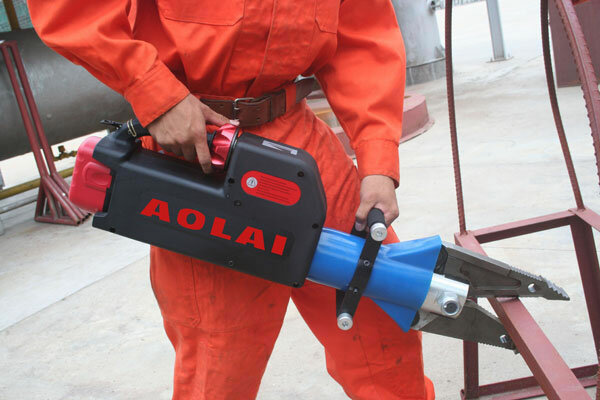 Combined with the power pump, cutter and spreader, the battery combination of our company is the special rescue tool, which can achieve cutting, spreading and pulling. It has the power with itself and can be carried and operated easily. The tool is manufactured according to the scientific standard and recognized safety standard. 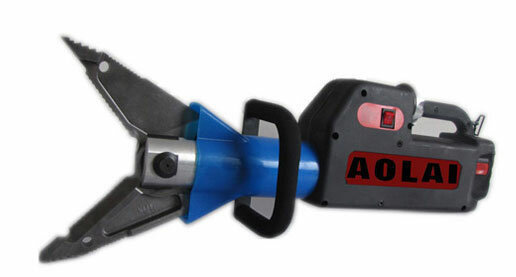 1.Blade arm is used for cutting, spreading, pulling and squashing the object. 2. Pivot bolt with self-locking nut is used to connect the hydraulic cylinder and blade arms and fix the blade arms. 3. Hydraulic cylinder is used to deliver the hydraulic pressure of the hydraulic system. 4. Strap is the auxiliary for carrying the equipment. 5. Former handhold is designed for holding the equipment. 6. LED display panel is available for displaying the remaining electric quantity of the battery. 7. Main switch is used to turn on and turn off the equipment. 8. Star grip can control the operating movements of cutting, spreading, pulling and pressure maintaining of the blade arms. 9. Back handle is used for carrying the equipment. 10. 24V high efficiency cell is the power source of the electric motor. 11. Nano material luminous sticker can show the position of the equipment under the condition of no light source. The high-pressure plunger pump is driven by the direct current electric machine. Then the hydraulic fluid in the hydraulic cylinder is high pressured to push the piston rod to move back and forth. Then the blade arms can achieve cutting and spreading operation. The high-capacity lithium battery is available for the direct current machine. Description The battery combination is the special rescue tool with power-supplying, cutting and spreading functions. Its working power comes from itself instead of the outer power unit or hydraulic pipeline. 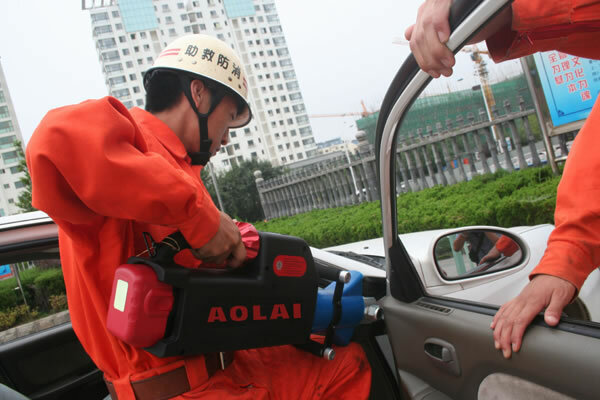 This tool with big size has large capacity and is suitable for the maneuverable rescue operations in all kinds of accidents and emergencies including traffic accidents, earthquake and other disasters. 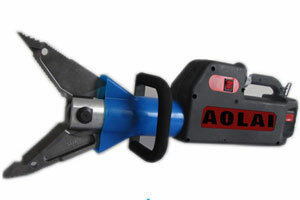 It can be easily operated to unclench the door, cut the metal structure, vehicle parts, pipelines and metal parts. 1. The battery combination may pose harm to people's life, body or the other part. It may also be harmful to the machine itself or the other object and property. 2. Don't contact the inside of the blade arms. 3. Don't cut electric wire. 4. The tool is not allowed to cut the object with internal stress such as shock absorber spring and guideway for such kind of object would splash easily to cause injuries. 5. The battery cannot be deeply discharged. When the rotational speed of electric motor decreases apparently, please stop operating the equipment. Once the electric motor is out of service in any case, the operator can't try to make the machine work again, or it will shorten the lifetime of the battery. Our company is a specialized battery combination manufacturer in China. We offer a wide range of products, including battery rescue equipment, hand operated combi-tool, hydraulic ram, hydraulic rescue tools, among others.